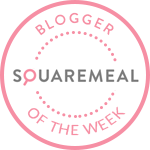 Emily's Recipes and Reviews | UK Food Blog | Leicestershire : aubergine, paneer & sweet red pepper curry. Step one. Begin by roasting your aubergine on a baking tray for 15 minutes. Step two. Toss your paneer cubes in a pan for 5 minutes, add in the spices and garlic and coat for a further 5 minutes. Step three. Add in the chopped tomatoes and pepper and continue to cook on a very low heat. Step four. When ready, add in the aubergine along with the stock, lime juice and a little coriander. Simmer away for a further 10-15 minutes. Put on your rice at this point too. Adjust spice level to taste with extra chillies if required. Serve with your favourite garnish. What are your favourite vegetarian curry recipes? Do you often mix cuisines to fuse your favourite flavours? what an absolutely delightful fusion recipe, I love creating such recipes and you have married two of my fav cuisines! And I must say the mention of paneer makes my mouth water - I love-uh Paneer! I have only recently discovered Paneer cheese and i love it. This recipe looks so delicious.